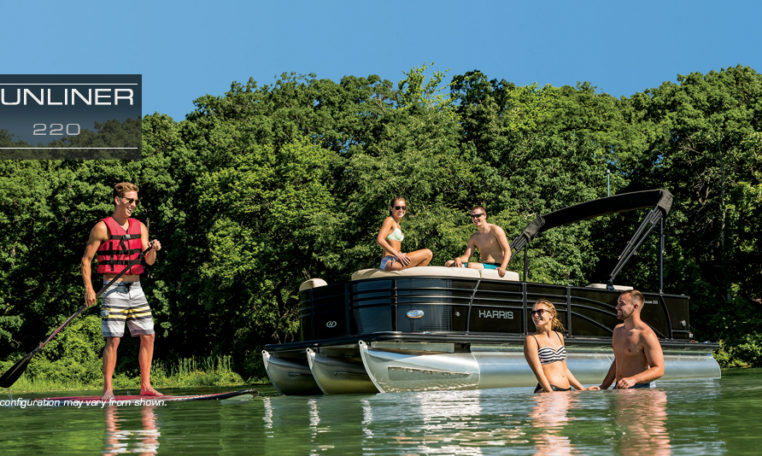 For a family of pontoon enthusiasts, the right pontoon must be as versatile as it is elegant, as capable as it is stylish and built to stand the test of time. 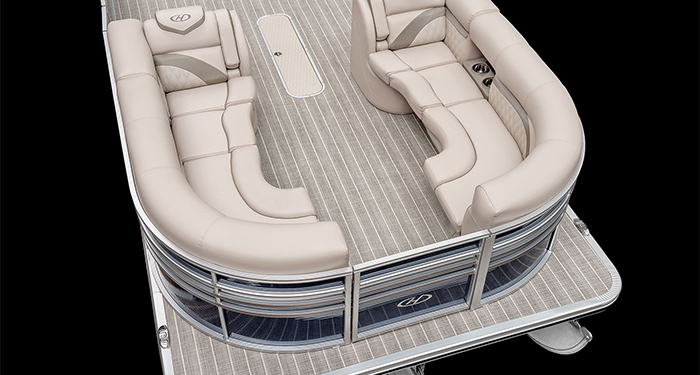 After all, this is where you’ll be catching up with friends, sunbathing in the golden summer sun, trolling for fish on a quiet morning and marvelling at the riot of sunset colour on the water. 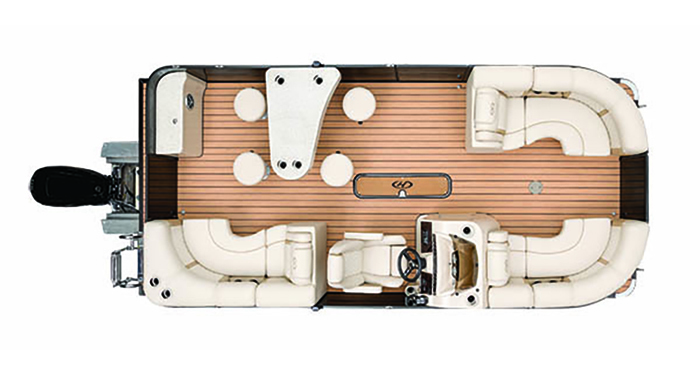 With a variety of available floor plans, the Sunliner 220 will surpass all expectations. 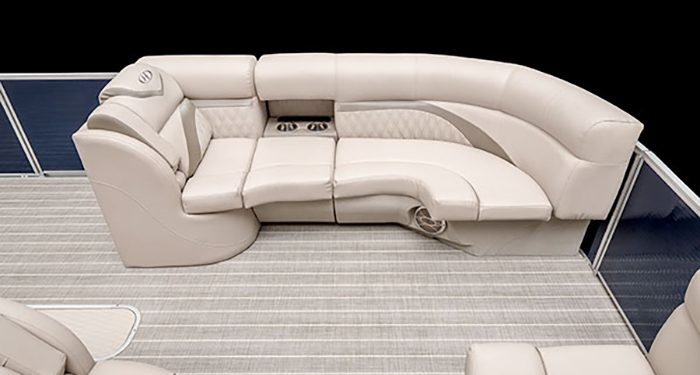 The CS floor plan has a walk-through bow gate, aft swim-deck access, two lavish bow lounges and a soft L-shaped aft lounge with available sun pad. 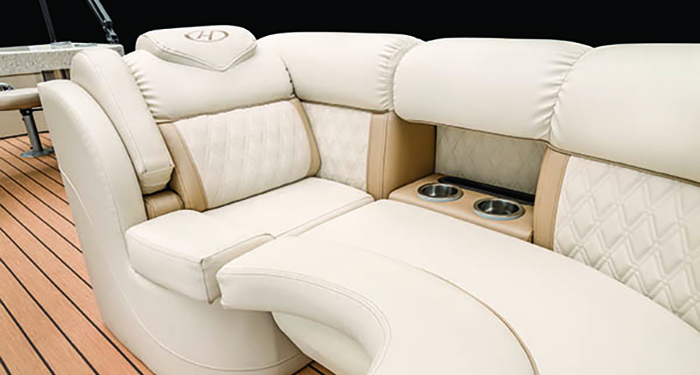 The DL floor plan provides dual rear-facing loungers. 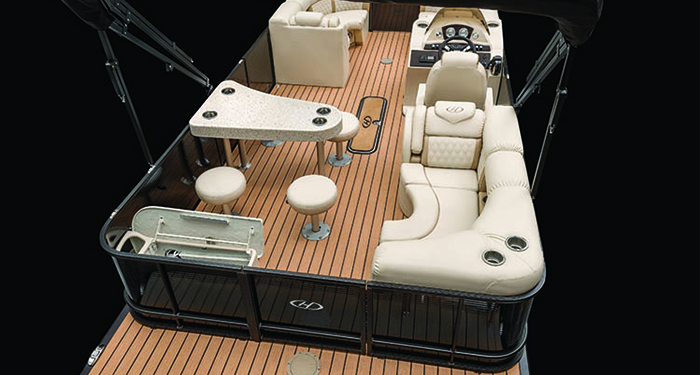 The FC floor plan appeals to anglers as a true “Fish and Cruise” model with its two stern fish seats, fully equipped workstation, aerated livewell and rod holders. 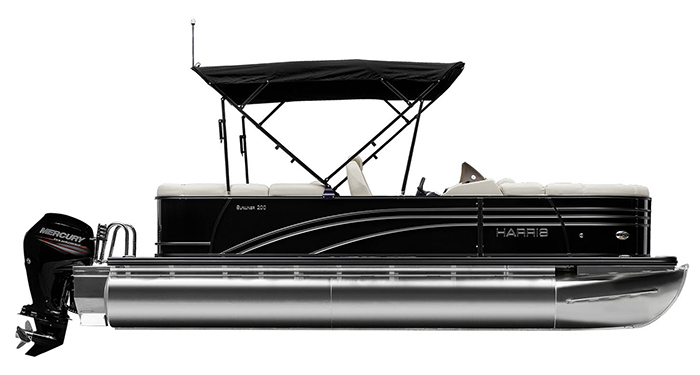 Naturally, when you’re not fishing, your family and friends will relax in the gracious living space, enjoying the many thoughtful touches and opulent creature comforts that make cruising on a Harris such an inspirational, rejuvenating experience.